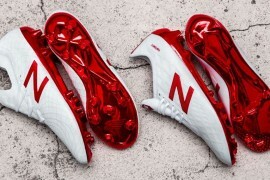 With all the focus on the groundbreaking Mizuno Morelia Neo over the last 18 months, it’s easy to forget that Mizuno have two excellent other football boots in their stable. 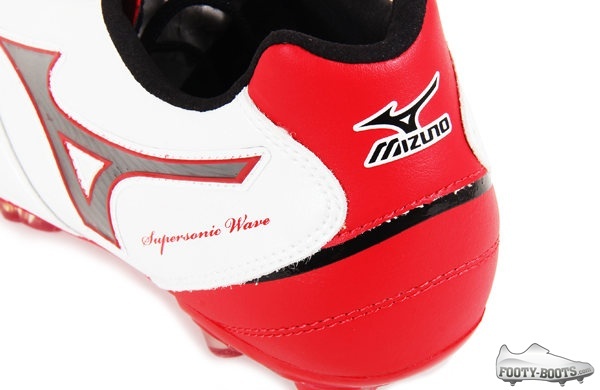 And whilst the Wave Ignitus is still very much a fan favourite, the Supersonic Wave still feels a little under-used to us – though that could change with the Mizuno Wave Supersonic 3 – White / Black / Red! 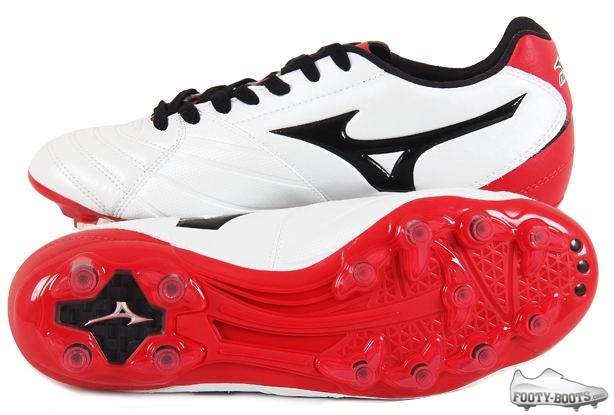 Keeping the pure, traditional base and bold pop colours that have defined the Supersonic Wave III since it’s reveal last summer, the Mizuno Supersonic Wave 3 – White / Black / Red is a great mixture of the old-meets new ideals thatconstantly serve Mizuno’s design team well. 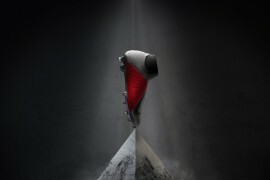 Mizuno’s ‘control’-focused boot, the Supersonic Wave 3 is designed to allow players complete control and comfort, to allow them to dictate the game. 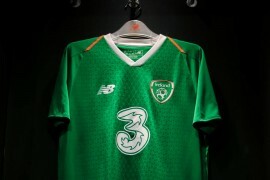 The upper is high-grade kangaroo leather for soft, assured ball feel – whilst the forefoot is injected with two types of rebound-reducing memory foam. 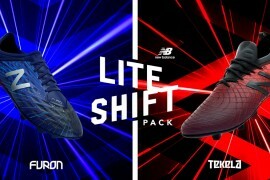 Dubbed the ‘Feather Touch System’ by the bods at Mizuno, this forefoot cushions each touch made by the front of the foot to help bring the ball under your spell, even at speed. 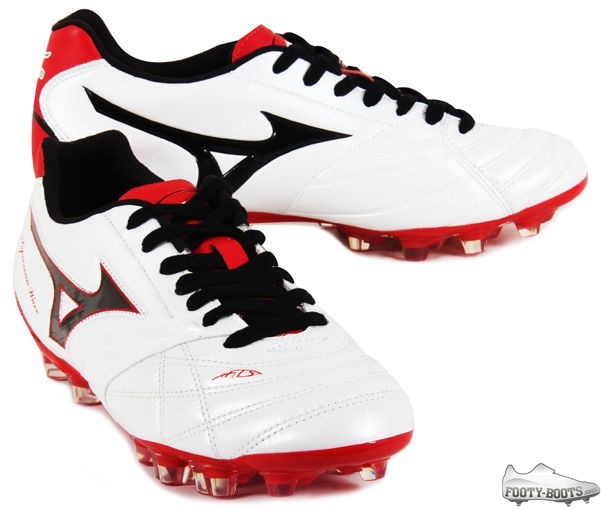 Of course, control doesn’t just come from the upper of the boot – which is why the Mizuno Supersonic Wave 3 – White / Black / Red incorporates the ‘Tiger Claw’ stud configuration. A hybrid of conical and bladed studs, the Tiger Claw system gives a ‘best of both worlds’ feel to the Supersonic Wave 3, and is comprised of dual-density Pebax for a lightweight, flexible fit and feel. 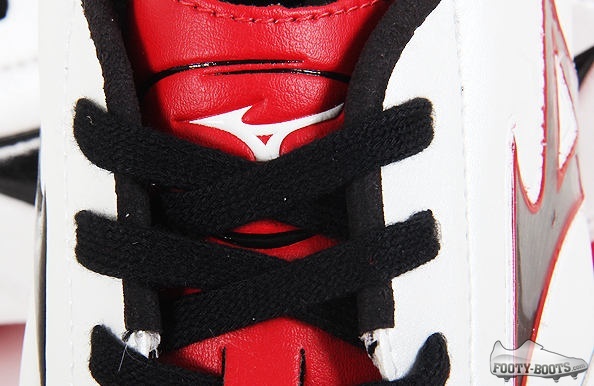 Speaking of fit, Mizuno also know the little details are important, which is why a suede lining is used on the collar of the Supersonic Wave 3 – White / Black / Red, for increased friction and reduced heel rub. 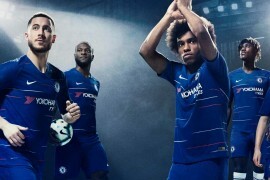 Only available outside of Japan, you’ll find this version of the Supersonic Wave already on sale in Brasil, with a European release set to be announced later this year.